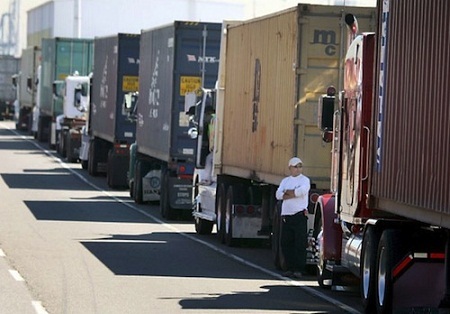 It’s not news that the United States has been facing a truck driver shortage over the past few years, but a recent report released by the American Trucking Association (ATA) indicates that it’s already worse than expected and points to the increasing lack of qualified applicants and the difficulty in attracting new drivers to the industry as the two major reasons why. According to the ATA report, the current truck driver shortage has increased to nearly 48,000 and industry experts estimate this number will grow to 175,000 by 2024. The report further speculates that to fill this gap, the trucking industry needs to hire 890,000 drivers over the next 10 years, which means hiring an average of 89,000 drivers each year. “The ability to find enough qualified drivers is one of our industry’s biggest challenges. This latest report plainly lays out the problem – as well as some possible solutions – to the driver shortage,” says ATA President and CEO, Bill Graves. ATA Chief Economist, Bob Costello, adds that the study alerted them to an extremely important factor of the shortage being more than a numbers issue, but a quality problem as well. “Fleets consistently report receiving applications for open positions, but that many of those candidates do not meet the criteria to be hired. According our research, 88 percent of carriers said most applicants are not qualified,” Costello explains. He also points out that trucking companies have been trying to combat the problem and attract more qualified drivers by increasing the pay. According to Costello, truck driver salary has been climbing over the recent years by an annual average of 8% to 12%. He reports that the current median annual wage for truck driver employed by private fleet is $73,000 and the average annual salary for all U.S. truck drivers is approximately $40,000. Costello also sees the work-life balance increasingly becoming more of an issue at a time when Americans are seeking trucking jobs that allow them more home time and flexible schedules. He says that truck drivers can be on the road for 10 days at a time and many trucking companies are actively seeking ways to overcome this challenge to offer their drivers a better-balanced lifestyle.